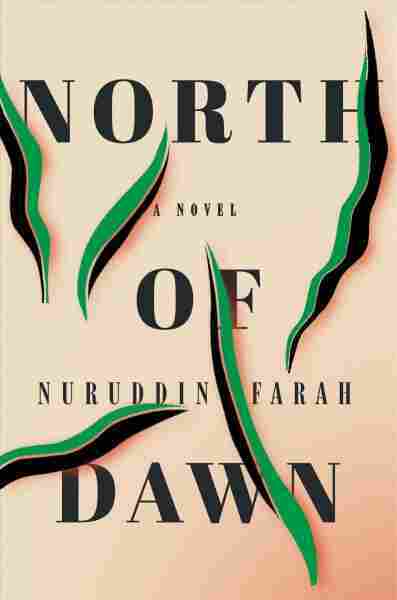 Extreme Ideologies Clash In 'North Of Dawn' Author Nuruddin Farah writes about immigration and radicalization in his latest novel North of Dawn, which follows a Somali living in exile in Norway whose son chooses a dangerously extreme path. Think of the novelist Nuruddin Farah as a man of the world. He's lived in several countries, not entirely by choice — he was born in Somalia, in East Africa. He left Somalia in 1974 to study abroad, and something happened to him that's relevant to his new novel. "When I was due to go back in 1976, [I] was sentenced to 30 years in prison," he says. "I wrote a novel called A Naked Needle, which is a satirical kind of novel about the regime in power at the time." That regime didn't see the humor in the book, he says, "and then later on, after publishing another novel called Sweet and Sour Milk, was sentenced to death, so it didn't make sense at all to go back." Farah has lived in Britain and in South Africa, and now teaches at New York's Bard College. In his latest novel, North of Dawn, he writes of a man a little like himself — living more or less in exile from Somalia, and well-adjusted to life in the West. But then, the man's son embraces Islamic extremism, returns to Somalia, and dies in a suicide attack. "It's not very difficult to know where they're coming from," he says of those who choose an extreme path, "because whenever they're frustrated with the day-to-day living, they take an easy way out of the problems that they face, and one of them is to become more religious, one of them is to become more radical." The Somali exile in North of Dawn is living in Norway in 2011 — the same year that right-wing extremist Anders Behring Breivik opened fire on a youth camp, killing sixty-nine people. Breivik said he wanted all Muslims deported from Europe. Now you have ... the young Somali, the son, and Breivik, who are being compared to one another, and what have they done. Most Somalis, or rather, [al-]Shabab and the Somali terrorists, have created more havoc, and killed more Somalis than they have killed foreigners. The majority of the Somalis have not participated in the terrorism that is taking place in the West — and I am saying the majority of the Somali radical-leaning groups. Whereas right-wing and neo-Nazi ideology, the violence is extensive and yet there's little talk about it, and there's little comparison between radical Islam and the neo-Nazi groups. Anti-Semitists, anti-Islam and anti-everything that is humane. This is a country which has always welcomed foreigners, and a country is all the richer when a variety of people making it into a country are so diverse and can learn from the experiences of one another. And this country also is a country that at some point in the 1930s and 1940s, refused to welcome Jews fleeing ... the Holocaust. Now, it is something that comes back — this has come to haunt Americans, this unkindness to foreigners in those days. And now, look at what the people who came, who fled Nazi Holocaust or the Soviet Union or various other places — they found a home and a comfortable home, and an acceptance here. And it is a great thing, for example, to see a young Somali refugee who arrived here when she was 12 and is now a member of the House [of Representatives]. Now, this is something for Americans to be proud of. Now, why would you turn your back on something that makes you special? They're not a frightening mass. They're not. I live in Cape Town, South Africa and have a South African passport now, but if I were to come here as a refugee, so would hundreds of other people, some like me, some very different from me. And when you throw a net into the sea, you never know what kind of fish you're going to catch. And then when we catch fish, different types of fish that provide you different tastes for different occasions and meals, you should appreciate that there is a bounty of fish, which you can share with other people. Refugees have to be shared, migrants have to be shared amongst other nations that are doing better. This is my view. And I am saying they are not one huge mass that are the same. They're not a mob either. They are human beings with a need, and that need must be met humanely, by those who can. Refugees have to be shared, migrants have to be shared amongst other nations that are doing better ... They are human beings with a need, and that need must be met humanely, by those who can.